This is an outstanding home nestled in a private, park like garden of New Zealand Native trees and shrubs. 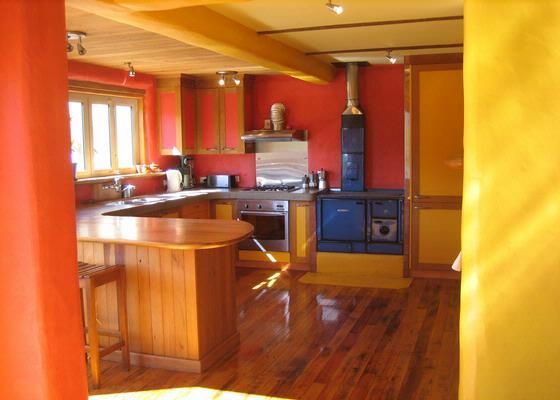 It sits elevated above the hawea basin and enjoys all day sun,the views of the local mountains are exceptional. This house has been lovingly crafted with solid plaster and hardwoods. A childrens paradise, with trampoline, swings and lots of safe playing space. For Adults its the ultimate place to relax, unwind and take in this pristine area. Distance to wanaka is 17km, lake Hawea 7km, WARBIRDS AIRPORT 10KM. Superb property. Great location and would live to return again. Lovely home and great views. Enjoyed the view and the friendly pigs.